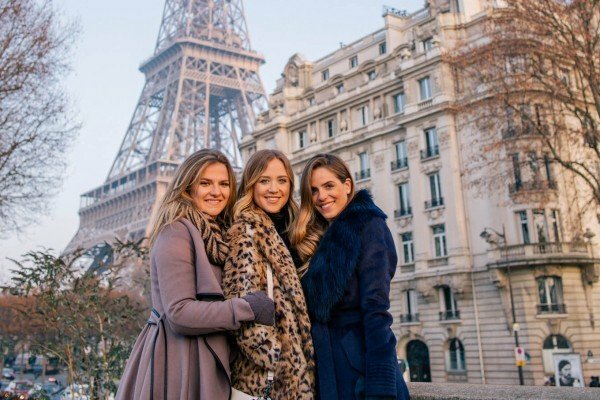 For any champagne loving bride, there’s no better way to celebrate her upcoming wedding than with a pretty pink champagne bridal shower with all her favorite girls. We love the look of pink everything and knew that combining the color with champagne would create a memorable event for both the bride-to-be and all her guests. 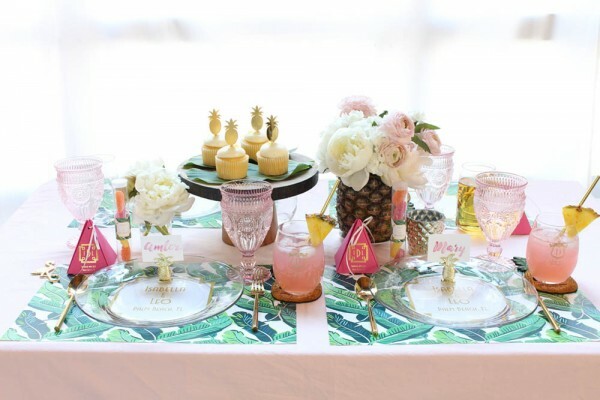 Keep reading to see some of our favorite ideas for creating a party that is both pretty in pink and champagne! 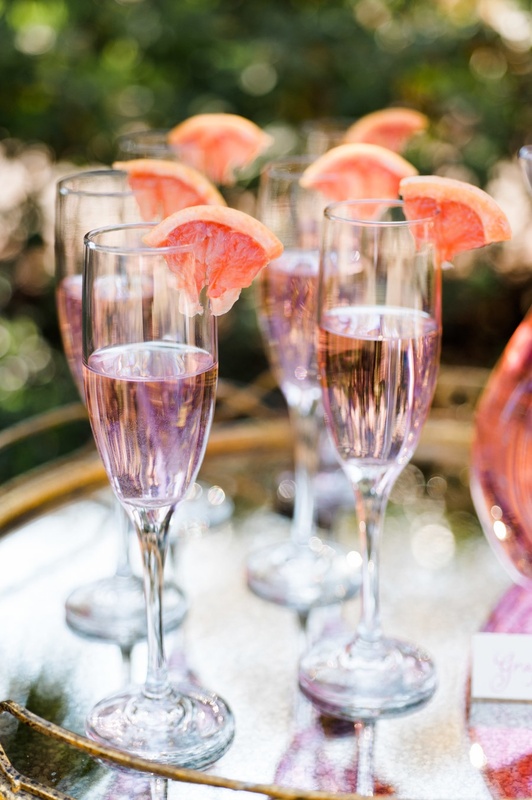 Adding pink fruit to your champagne will give it an extra kick of flavor, and make it look pretty too! Try adding grapefruit, watermelon or raspberries. 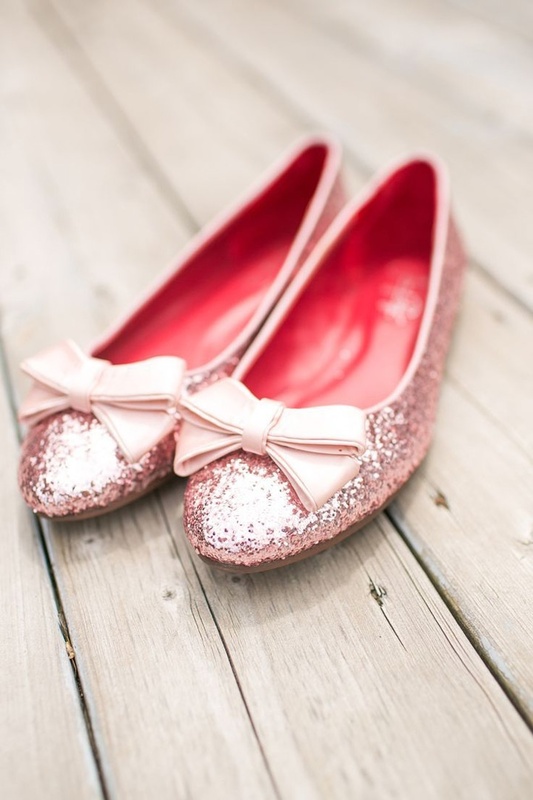 Ask your guests ahead of time to wear their favorite pink accessory. Whether they choose shoes, jewelry, or even a dress, having some sort of a dress code makes parties extra fun! 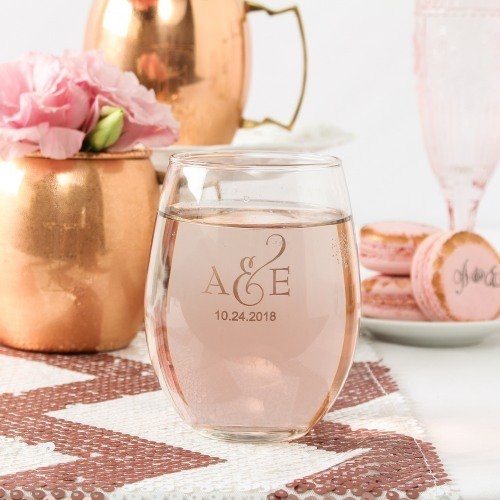 Have extra fun sipping on champagne, with personalized glassware. Your guests will love the extra effort, and will enjoy taking a keepsake glass home. 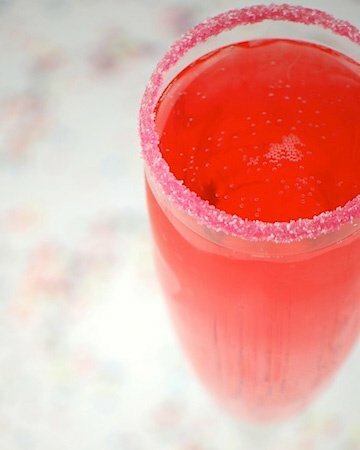 How can you resist pretty sugar – especially when it’s rimmed around champagne? This look is easy to create and tastes great too. You’ll love having a few sips that are extra sweet. 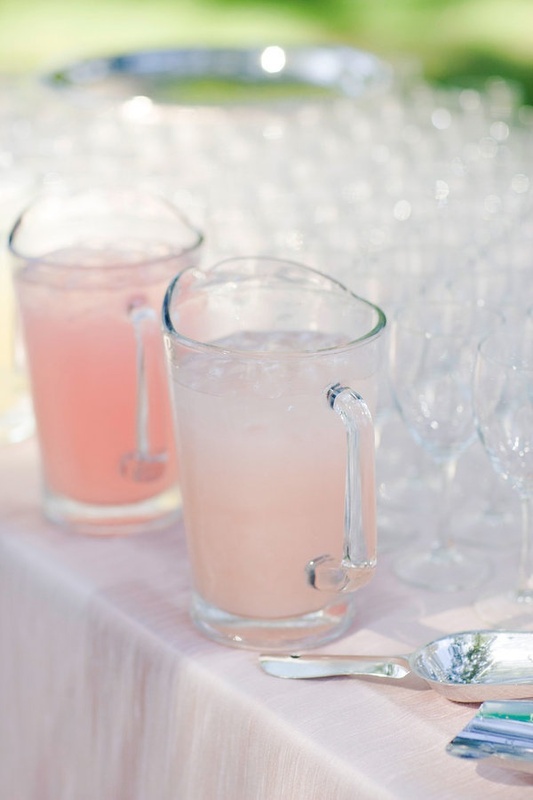 Keeping beverages in a clear pitcher allows more pink to be displayed. Having a few pitchers of pink or strawberry lemonade will come in handy for anyone in the mood for a non-alcoholic beverage. This is such a pretty and simple idea. Place pink flower petals around ice buckets and add some floral to the inside of the bucket too! It takes something so ordinary and makes it beautiful to look at. 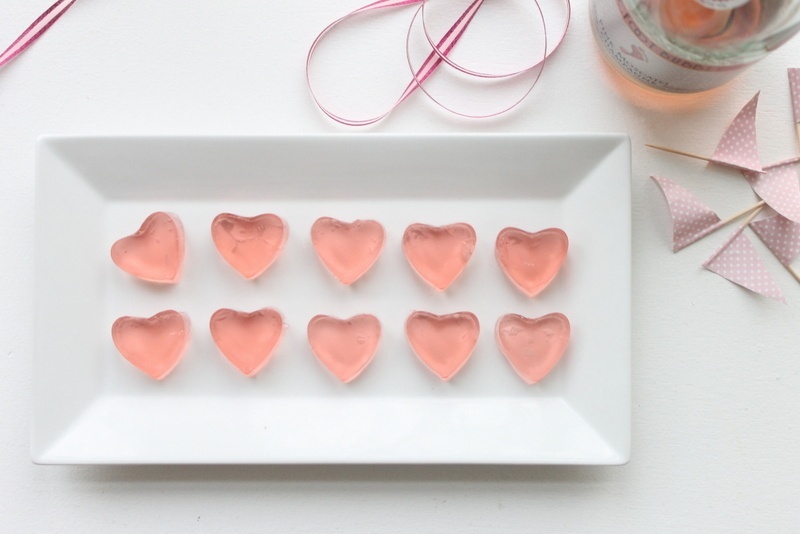 Put a spin on jello shots, by making them in a heart shaped ice cube tray. 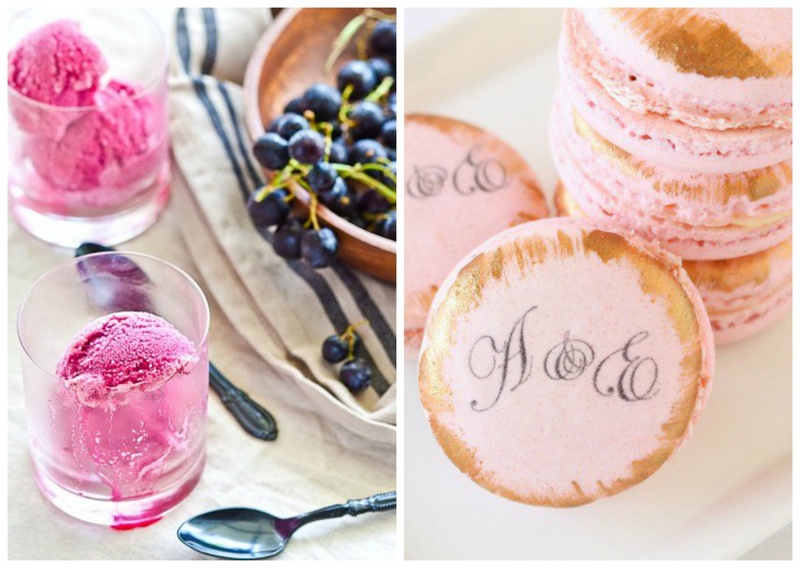 These are pretty pink treats your guests won’t forget! Sometimes, some simple floral centerpieces are all you need. 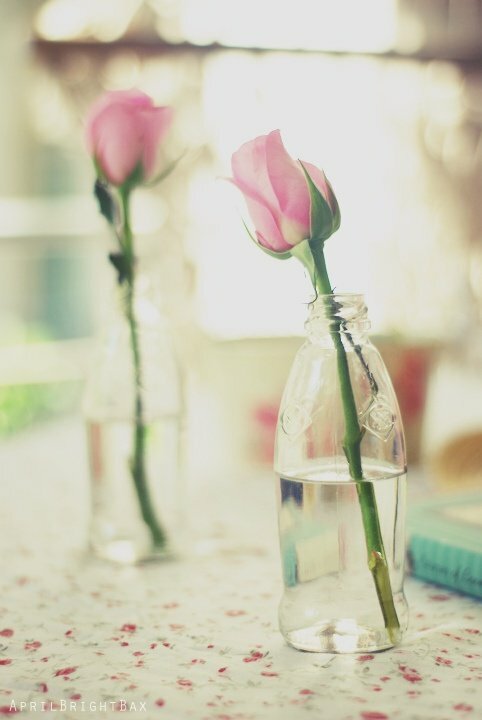 How pretty are these bottles with a single pink rose? Your guests can even take one home as a favor. What’s a bridal shower without any games? The bride and her guest will have so much fun interacting and laughing together. 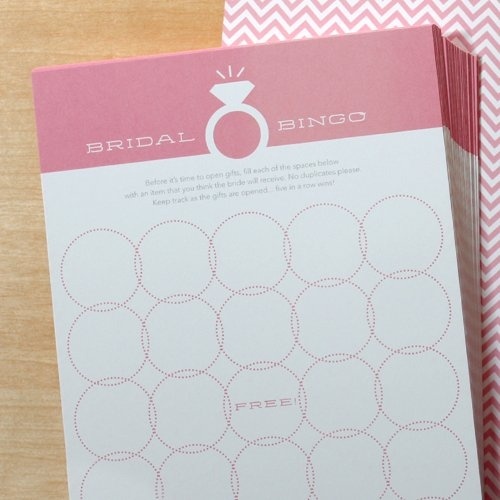 Find our favorite options for bridal shower games here, here, and here. Mmm, dessert time! There are plenty of pink desserts out there to serve. Pink velvet cupcakes, strawberry fudge, pink frosted cookies… you can turn any dessert pink with a little food coloring! We especially love the pink of these macaroons and sorbet. We bet your bridesmaids put a whole lot of effort into throwing you the perfect shower! 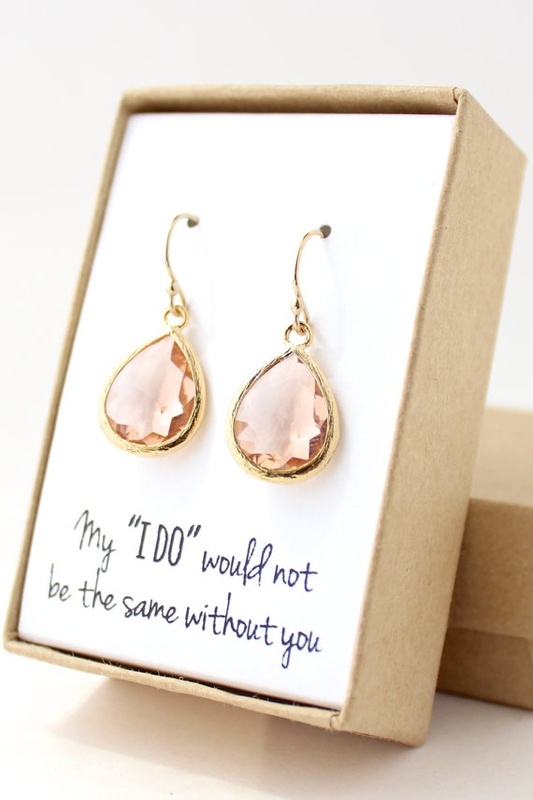 Show your gratitude with a gift like these pink earrings. She will appreciate the gesture and have a special keepsake for years to come. 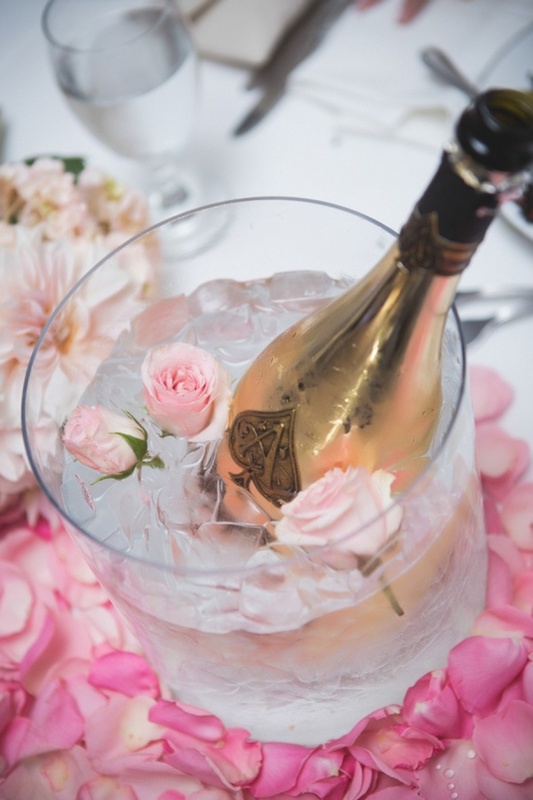 What do you think of a pink champagne theme for a bridal shower? Are there any other ideas you would include? We would love to hear what you have to say.